Iran will reportedly allow China to develop its largest oilfield for two decades in return for the delivery of 24 Chengdu J-10 fourth-generation multirole fighter jets under a deal estimated to be worth $1 billion, the Taiwan-based Want Daily newspaper reported. If both governments confirm that the agreement is a go, and neither has done it so far, Tehran will become the second country to operate the export version of the J-10. In 2009, Beijing sold 36 J-10B jets to Pakistan for $1.4 billion, Watch China Times noted. 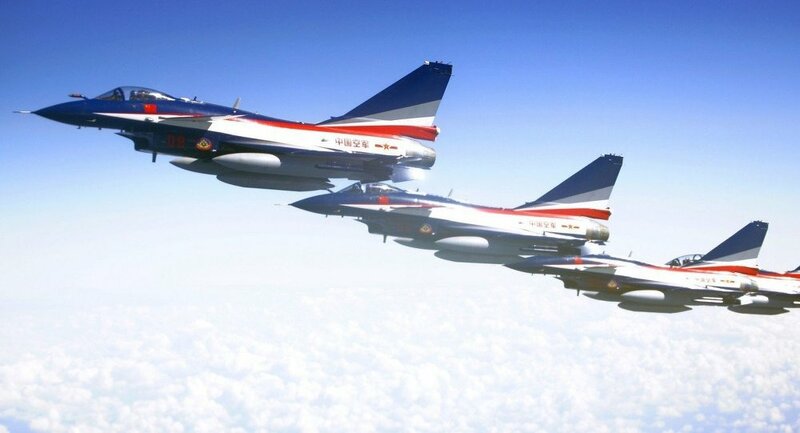 The jets, ideal for both ground assaults and electronic warfare, are produced by China's state-owned Chengdu Aircraft Corporation (CAC). In an opinion piece for the War is Boring website, Robert Beckhusen described CAC as "a major warplane manufacturer responsible for quickly churning out Beijing's top warplanes." In an ironic twist of fate, the J-10 is rumored to have been developed on the basis of the Lavi fighters designed by Israel and the United States in the 1980s. Israel allegedly sold the blueprints for the Lavi to China and now the technology could find its way to what Tel Aviv perceives as its archenemy. The 350 sq mi Azadegan oil field located near the border with Iraq produces 40,000 barrels of light and heavy crude per day. The field is operated by the National Iranian Oil Company (NIOC) and reported to be the largest discovered in Iran in the last three decades. China, the largest importer of Iranian oil, is not a newcomer when it comes to the Azadegan oilfield. In 2009, China National Petroleum Corporation (CNPC) signed a $2.5 billion deal with the NIOC to develop the South Azadegan oilfield aiming to produce 75,000 barrels per day for 25 years, the China Daily reported. The CNPC later suspended work on the project due to the West imposing sanctions on Iran and China's expansion into what Reuters referred to as "easier operating environments" in Africa, Asia, the Middle East and North America. Although Iran terminated the deal in spring 2014, the CNPC continued to be involved in the development of the North Azadegan oilfield under a $2 billion agreement signed in 2009. The project slated to last 12 years is expected to enter its first of two phases in October, Reuters reported. Iran plans to boost its oil output as soon as the West lifts economic sanctions as was agreed under the Joint Comprehensive Plan of Action, a major agreement between Tehran and a group of international mediators aimed at curbing Iran's nuclear ambitions. Tehran has always maintained that its nuclear program is purely peaceful in nature and it had no intention of developing an atomic bomb. Iran's Oil Comeback: Should Markets Get Ready for Even More Oil?